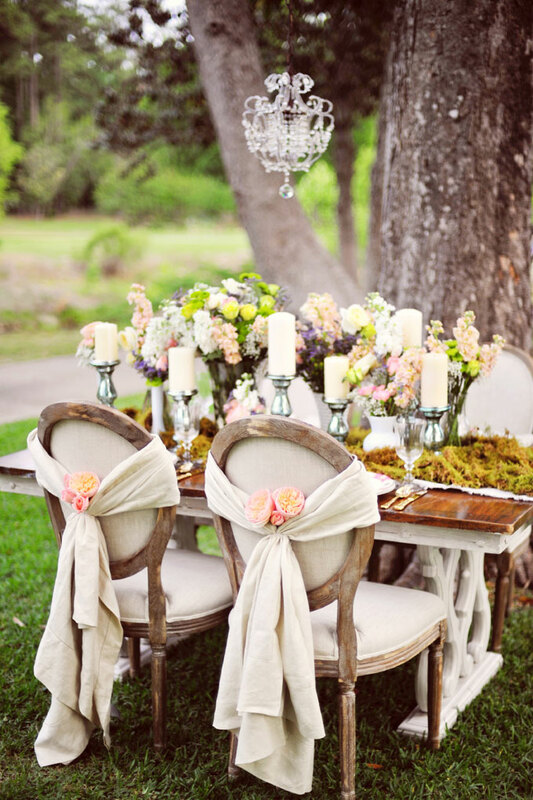 Today I have a lovely picture perfect shabby chic, natural woodsey tablescape for you. It is seriously just darling. There are so many cute details it is hard to decide what my favorite is. 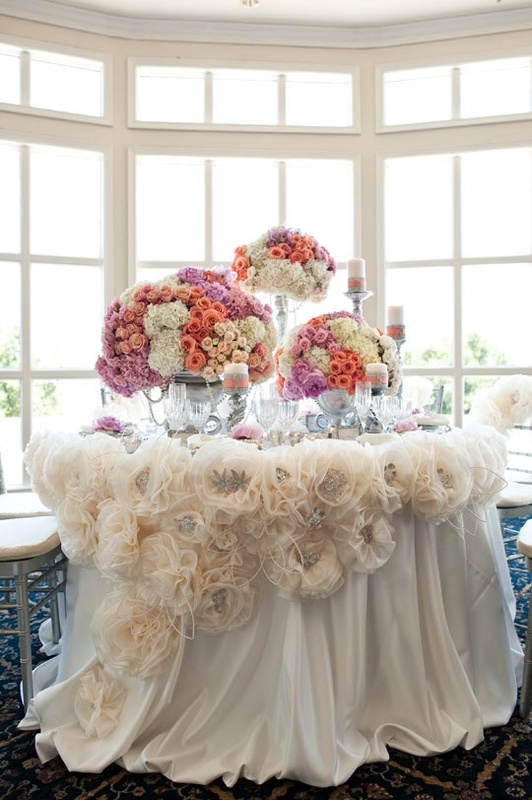 The aged wood chairs tied with a cream sash finished of with a rose, amazing. The moss runner with the mercury glass candle holders with nestled peach, cream and green centerpieces, to die for. Add a glamorous tiny chandler above it all and my heart swells!